Offshore Systems new Hydrostatic Side Mount Tank Level Senders provide accurate Volumetric Tank contents information to the NMEA2000® network. The 4272 Sender is for Fuel Tanks, the 4282 Sender is for Fresh Water Tanks. The fuel and freshwater senders have stainless steel wetted parts and the black water sender has bronze wetted parts that are compatible with the contents of the black tank. 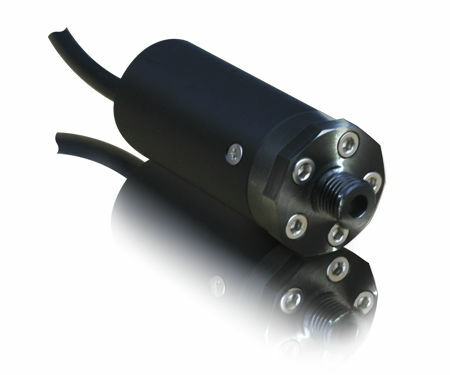 They are available with a range of attachment threads to suit most applications including ¼” BSP, SAE J1926-1-4 and M12. The senders have a user settable device instance (address) switch to make installation easy and to allow up to 16 senders of each type on a single network. The units are certified to the NMEA2000® standard and attaches to the network with a single micro C plug on a 1 metre cable tail. Each sender draws less than 50mA from the network.